When he signs the bill! Gonna get that wall! Dems could have played hardball w/ a rider to the spending bill that nixed D.E. option. 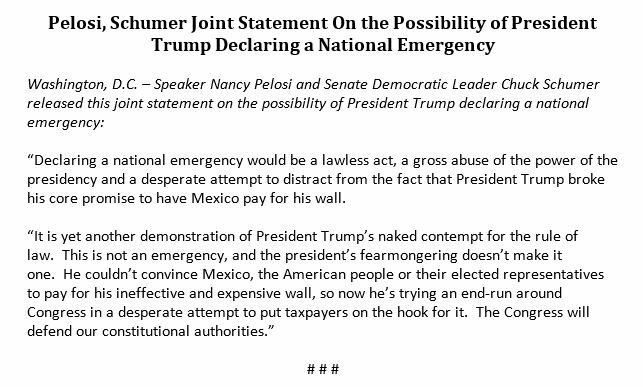 Because Pelosi wants POTUS to do this. That's all she cares about. The important thing is that Trump will get re-elected. and cite the Trump precedent when doing so. They had their chance to do things right - but they couldn't bear facing the loss of all those illegal voters. So, now Trump will take care of getting the right thing done without them. And Americans will not forget and will propel him into his second term. to his vanity project of a border wall. It's clear now that he is willing to go around Congress to do this. We must pass these bills immediately. he loses in 2020 and we ALL lose for years to come. I’ll discuss on @foxandfriends in 10 mins! 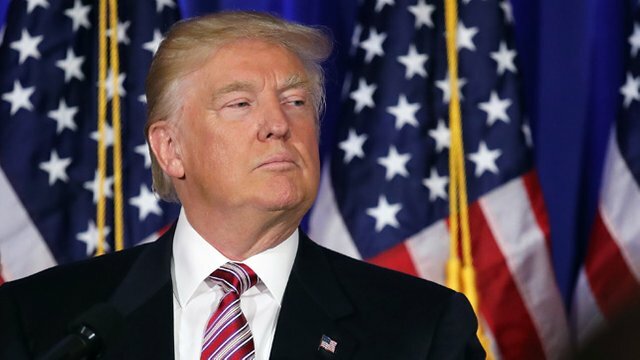 Donald Trump is going to do what no other President has done. He's gonna solve the illegal immigrant problem. In so doing, he will be hailed as one of the greatest Presidents of all time. 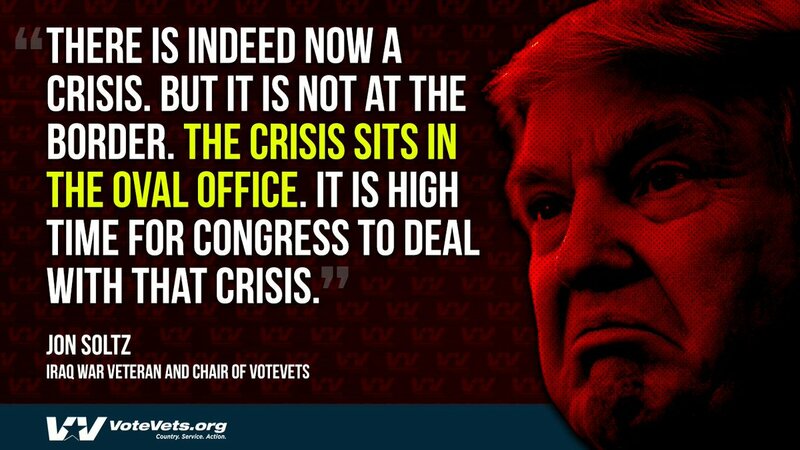 ".......In reality, no such crisis exists. Our federal courthouses and prisons are not filled with terrorists we’ve captured at the border. There is no wave of terrorist operatives waiting to cross overland into the United States. 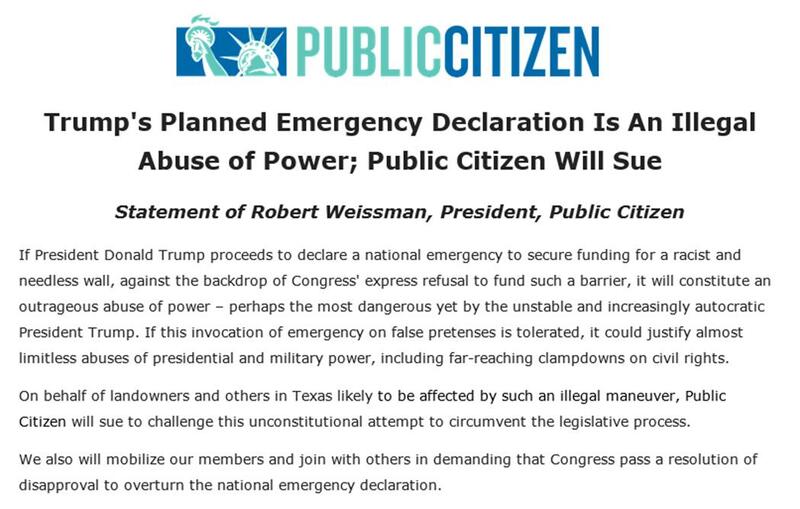 BREAKING: We will sue Trump if he declares a national emergency to build his racist wall. it could justify almost limitless abuses of presidential power, including far-reaching clampdowns on civil rights. Not because you failed at negotiating & Mexico won't pay for your racist wall. The American people will see you in court, @realDonaldTrump. DUMP giving his big speech as I write! With his recent shutdown gambit, Trump picked a fight that united his opponents and divided his allies. Today, with an emergency declaration, he'll make the same mistake again. Narcissistic impulses don't work in politics. If the Dems had placed such a rider on the bill, it would not have passed the Senate. Nor would Trump have signed it. So Dems. would be blamed for the Shutdown. Dumb idea. I have already contacted my senators and representative. Since they are loyal Trump supporters, I complained about the adverse effects it would have on military, especially dependents, surviving spouses and retirees. 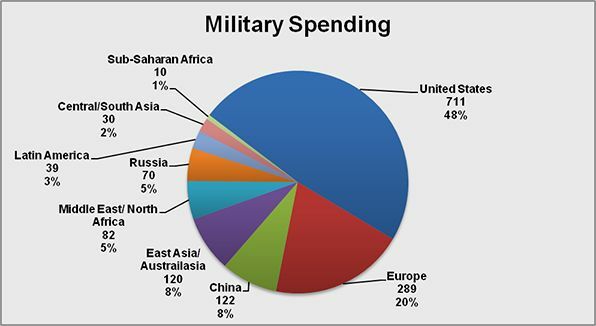 The money will have to come from somebody in DOD. Also contacted the veteran and military service organizations to which I belong.